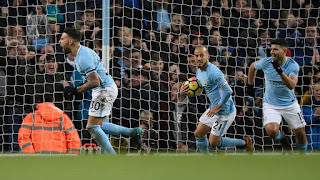 Manchester City will go into next week’s hotly anticipated Derby against Manchester United eight points clear at the top of the Premier League. 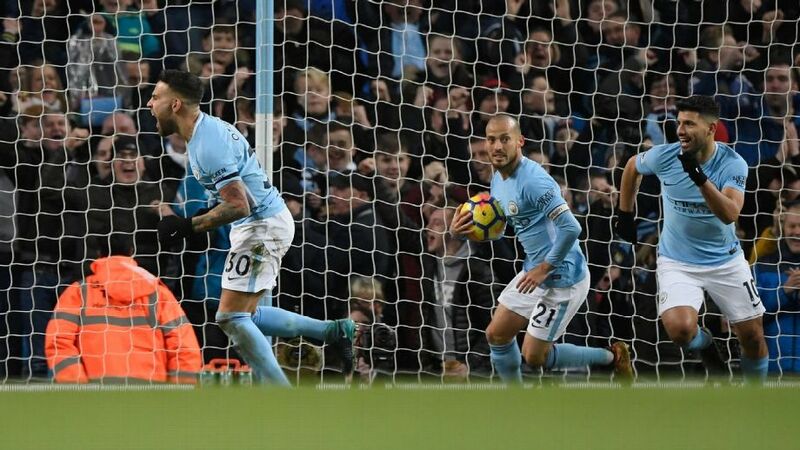 Pep Guardiola’s men recorded their 13th consecutive win in the competition, with a battling 2-1 victory over West Ham on Saturday evening. Angelo Ogbonna gave the visitors the lead with a minute left before half time. However, City turned the game around in the second half, with goals from Nicolas Otamendi and David Silva. They now have 43 points from 15 fixtures, while United have 35. Chelsea are third with 32 points and Liverpool fourth with 29.